Italy has beguiled visitors for ages with its stunning landscapes, glorious foods, spectacular coastline and of course its art and history. It is hard not to fall in love with Italy even after your very first visit. In real life when you fall in love, you want more and therefore commit by even moving in together; the same applies when you love a country like Italy. 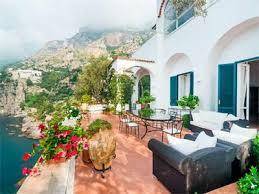 You want to spend more time enjoying all that she has to offer; you will be pleased to know that Italy has famously stable property market hence you can buy the property of your choice without worries. Going on holiday to Italy is one thing but owning your very own Italian villa is another; you become part of the community, just like one of the locals. There are several regions that have lured the aristocrats and the stars in Italy; the glamorous Campania, the breezy Amalfi coast, the rocky Capri, influential Tuscany and the exotic Puglia. Mobile homes in France are a popular way of way of exploring France independently, at your own pace and affordably. France is a popular destination with numerous attractions, culinary delights and intriguing history that attracts visitors from all over the world. It is however not a cheap destination and therefore one of the reasons for buying a mobile home is to ensure that you keep coming back to enjoy unlimited holiday experiences. Mobile homes come in different shapes and sizes but are always budget friendly; from basic to luxurious lodge like residences, all you have to do is choose one that fits comfortably within your budget. It is also a stepping stone to own property abroad especially if you are unsure of committing to bricks and mortar, a mobile home is a great way to test the waters first. One of the advantages of mobile homes for sale in France is that they are set in parks, so it follows that they will be set in locations with panoramic views probably by the beachside, lakeside, popular touristic regions such as Brittany or beside rivers or in the mountains. They are also normally equipped with facilities such as swimming pools and sports areas. Since you will be buying mobile homes and not fixed houses, any land fees or taxes associated with the latter will not be applicable to you. One can never have enough taste of freshly baked diet defying croissants, delicious cheese, fresh market produce and the thrills that the French Alps seem to offer. In the past places such as Normandy and Brittany attracted attention when it came to buying holiday homes but recently the Alps have witnessed a surge in popularity from UK property buyers. Those who are seeking to enjoy the panoramic views of Meribel in the comfort of your very own rustic ski chalet it is now possible. There are several ways to own a ski chalet in Meribel; by private sale, through the notary, via agents and if you are confident with your French by participating in local auction and bagging in precious bargains.